TULSA, Okla. (AP) – An Environmental Protection Agency report shows that mushroom compost has been extracting contaminants from the heavily polluted Tar Creek Superfund Site in northeastern Oklahoma for a decade. Tar Creek is a 40-square-mile (103-square-kilometer) former mine and one of the nation’s oldest, most complex Superfund sites. Superfund is a law that funds and authorizes EPA cleanup of contaminated sites. 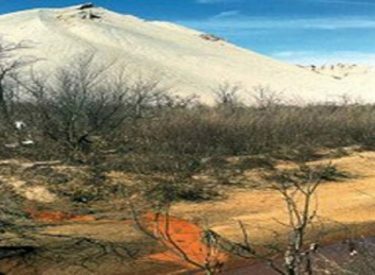 The Tulsa World reports that the site in Ottawa County has a passive treatment system that uses layers of mushroom compost to remove and separate cadmium, lead, and zinc from the site’s tainted water. The system is one of numerous initiatives named in the Superfund site’s strategic plan announced last week by the Environmental Protection Agency, with cooperation from the Quapaw Tribe and the Oklahoma Department of Environmental Quality.